Energizer® Industrial® Project Lights come with sure-grip handles and extra-large switches. 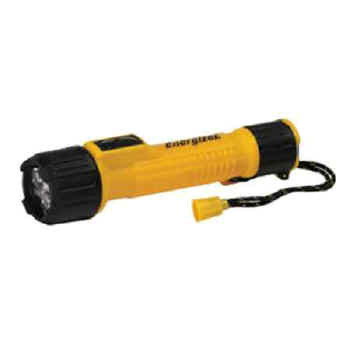 They also feature bright white LEDs, a push-button switch, ribbed grip, and a non-roll foot. Plus they are waterproof and include a built-in hanger hook and lanyard. Batteries included. 6 5/16" x 1 5/8". Yellow.